skat offers a number of convenient options for paying your fare. Cash is readily accepted when you board the bus or you can use pre-purchased 10 or 20-ride passes. 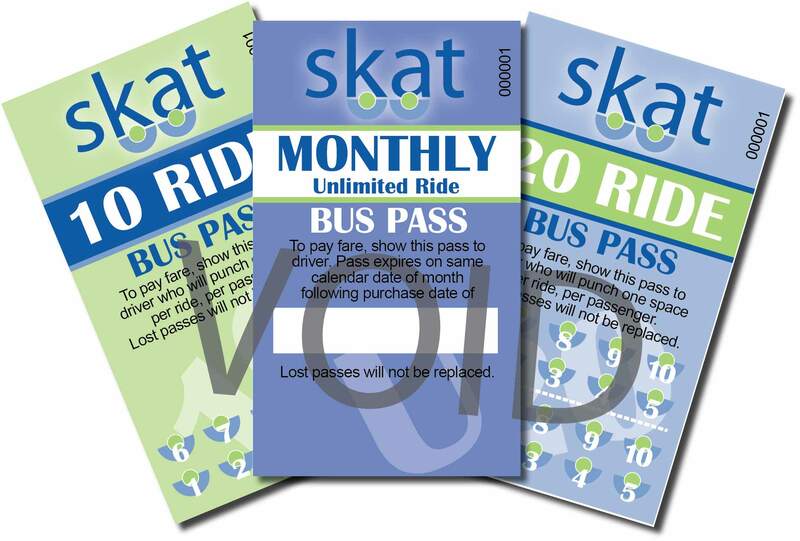 For the best value, the unlimited ride pass will allow you to ride skat as much as you like for one month. The RCC Student pass can be used for unlimited rides during the Fall or Spring semesters.